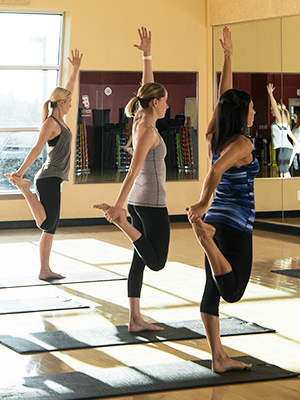 Our Natomas yoga classes are an excellent way to unwind after a stressful day while burning calories, building your strength, and challenging your flexibility – all in one class! 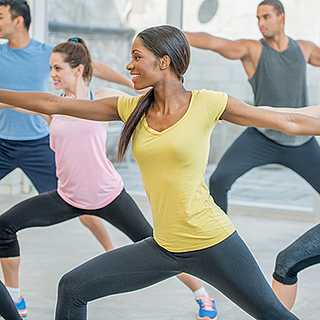 Yoga, Pilates, and Piloga classes are an important element of overall health and fitness. Take care of your body, and it will take care of you. Whether you are just beginning yoga or are a seasoned yoga expert, California Family Fitness of Natomas offers a variety of yoga classes. 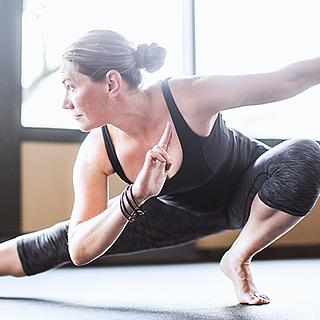 Certified yoga instructors bring a personal touch to each class. Join one of our yoga classes in Natomas, CA and connect with your inner peace. Read on to check the interactive schedule, download our app, or learn about the benefits of yoga and Pilates. See more information about the Cal Fit Natomas gym for more information about the club. 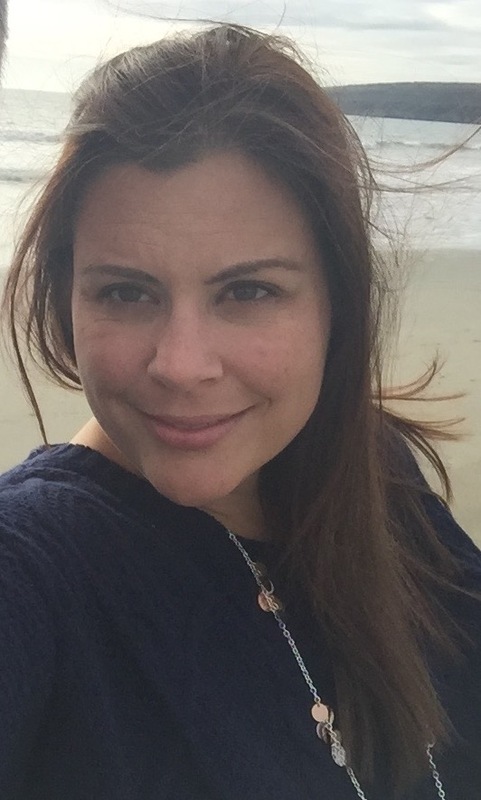 Meet a Natomas Yoga Instructor! Education/certifications: Yoga Fit Levels 1 and 2, AAFA Group Fitness Certification, PiYo Certification, BA in Communications. Favorite workout: I love to take as many group fitness classes as I can from other instructors. Some favorites are GST, PiYo, Cycle and of course, Gentle Yoga, to bring life back into perspective. Favorite food: Greek yogurt mixed with uncooked oatmeal and fresh berries is one of my favorites, and of course chocolate. Reason for becoming a yoga instructor: I originally started taking classes as a way to unwind from mommyhood. After taking classes for a year or so I realized how practicing yoga regularly was helping me work through the challenges of being a new mom. I had less anxiety, and it helped me find my way through postpartum depression. I wanted to be able to share those benefits with others, and so I began the certification process with Yoga Fit. Best thing about Natomas: Natomas is great because you have all of the benefits of a large club as well as a tighter community feel. The members and staff are super friendly and involved in the Natomas community outside of the gym. Our Kids Club and Childcare staff is amazing, always providing quality activities and care for our little mini members. I feel inspired by the members who have continued their practice with me since I was just starting my journey 6 years ago. Favorite inspirational quote: "Life isn't about waiting for the storm to pass, it's learning to dance in the rain." There's a reason people have been practicing yoga for thousands of years! We offer various levels at convenient times, so you're sure to find a yoga class that works for you! Evening and weekend yoga classes are available, and every class works to improve your strength, flexibility and balance, with some relaxation time at the end. Gentle Yoga focuses on the easier poses, holding them for relatively short amounts of time. This is an excellent entry point for beginners, or those recovering from injury. All members are welcome to experience Mixed Levels Yoga. Modifications are offered for the more challenging poses, and each participant is encouraged to work at their own pace. Both Gentle and Mixed Level are appropriate yoga classes for seniors. Pilates classes help you develop a strong core and movement control, resulting in long, lean muscles. By balancing flexibility with strength, your body is less likely to experience injury and will be less susceptible to chronic back pain. Enjoy the tranquility of the Natomas gym's designated mind/body room, the perfect place to practice stress-reducing breathing techniques. Piloga classes combine many of the core strengthening exercises of Pilates with the classic yoga poses, improving muscle elasticity and joint mobility. Real time updates to favorite classes (holiday schedules, room closures, etc.). Notification by email whenever the schedules change. Direct email communication with class instructors.